Plano Water Damage is a trusted brand name in the water damage clean up and restoration industry. We also provide quality carpet care solutions for water damaged carpets and deep cleaning for lifeless and dull area rugs, oriental rugs, and even for upholstered furniture. Our team of expert staff technicians has undergone rigorous training, certification, and licensure to facilitate the latest residential and commercial carpet cleaning and restoration solutions. Our team only uses state-of-the-art technology along with environment friendly and safe solutions to clean up, restore, deodorize, and sanitize your carpets, area rugs, floor carpets, wall-to-wall carpets, and upholstered furnishings. Our deep cleaning carpet care solutions will leave your furnishings free from pet stains, odors, residues, and allergens to further protect you and your family and colleagues’ health. Regular carpet cleaning may maintain its overall look but a professional deep cleaning brings new life to your carpets and brings them back to their water damage pre-loss state. Your area rugs, oriental rugs, and floor carpets will look priceless and brand new after our company, Plano Water Damage, uses proven effective carpet care deep cleaning solutions. Our carpet clean up and restoration procedures are approved by insurance companies that’s why at Plano Water Damage, we directly bill your insurance so you can just take advantage of our carpet cleaning services regularly. 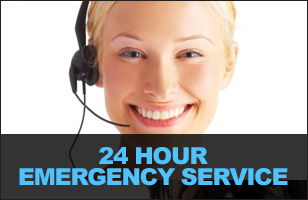 We also dispatch our friendly and courteous professional staff technicians within 30 minutes of your call. Call our Plano Water Damage 24/7 office today!